London — Gold slipped on Friday ahead of key US payrolls data and as global equities stood firm, though it was on course for slight gains for the week as the dollar drifts lower amid escalating China-US trade tensions. The imposition of the tariffs was absorbed calmly by markets, with stocks edging higher. Rising stock markets, seen as risky assets, tend to weigh on gold, seen as a safe haven asset in times of economic or political upheaval. 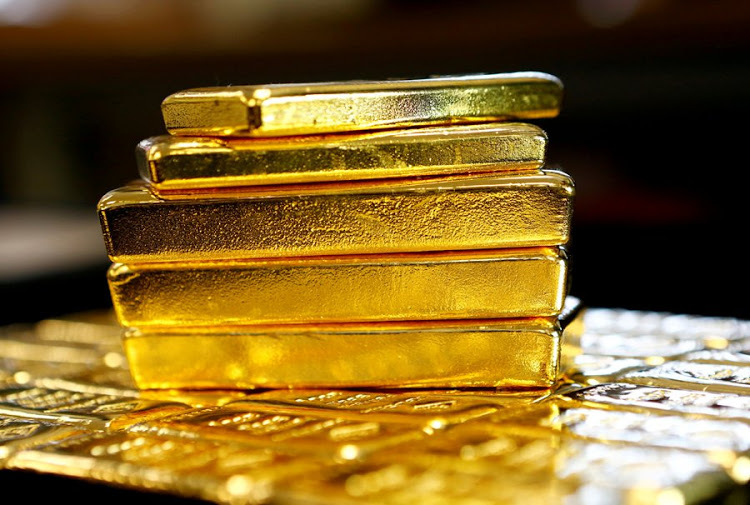 "It’s mainly the dollar that’s supporting gold this week, the dollar has stopped going up and there’s hesitation before the jobs report," said Fawad Razaqzada, an analyst at FOREX.com. He added, however: "Global stocks are not exactly slumping, [possibly] because this [trade war has been] priced in." Spot gold was 0.3% lower at $1,254.48 an ounce at 10.38am GMT, having dropped to $1,252.15 earlier in the session. It was, however, headed for its first weekly gain in four. US gold futures for August delivery slipped 0.3% to $1,255.60 an ounce. The dollar fell as US tariffs on Chinese imports took effect, but a muted reaction in currency markets suggested the escalation had largely been priced in by investors focusing on a US jobs report due later. A weak dollar usually supports gold by making the greenback-priced metal cheaper for non-US investors. "Traders are extremely cautious when it comes to gold. The intra-day price-action has a bullish set-up and shows that the price has potential to test the level of $1,280 in the coming days if the dollar weakness continues," ThinkMarkets chief market analyst Naeem Aslam said. Meanwhile, US central bankers discussed whether recession lurked around the corner and expressed concerns that global trade tensions could hit an economy that, by most measures, looked strong, minutes of the US Federal Reserve’s last policy meeting on June 12-13 released on Thursday showed. The minutes also suggested policy makers might soon signal the central bank’s rate-hiking cycle was advanced enough that policy was no longer boosting or constraining the economy. Silver was flat at $15.98 an ounce. Palladium slipped 0.3% to $945.60 an ounce, while platinum fell 0.4% to $837.20. All three metals were headed for their fourth straight weekly decline.